SoundFi is an American company that, as its name suggests, specializes in audio. It made its debut in Germany last night, and we were able to test the service in a Berlin cinema. Here's how it all works. The SoundFi application is unique in that it allows you to download the sound for an entire movie in the language of your choice. 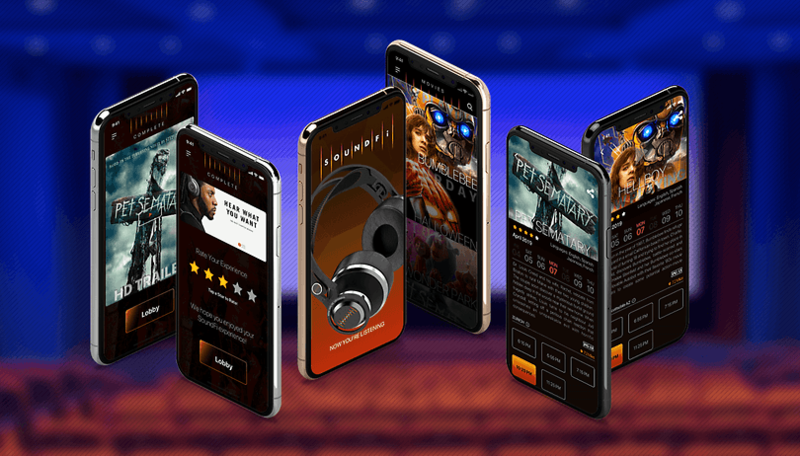 All you have to do is go to the cinema, launch the application, put on your headphones and immerse yourself in the film with the image in front of you and a quality sound (in your mother tongue) in your ears. It's also designed to be a help to the hearing-impaired and also gives access to director commentary. In the end, you watch a movie so if you don't like it, even the best technology in the world will struggle to make it interesting. In our case, it was a horror film called "Pet Sematary" based on Stephen King's novel Simetierre. It takes a little time to get used to two soundtracks because the headset may offer good insulation, you can still hear the original soundtrack in the room, i.e. in German, but not your neighbor who eats popcorn and that's not bad. After a few minutes, you don't pay any attention to it anymore and you quickly find yourself immersed in the film. I had installed the application and downloaded the soundtrack in French but, unfortunately, the synchronization didn't work on my Samsung Galaxy A50, so I had to use an iPhone and listen to the soundtrack in English. The result is excellent, the 3D quality is very good and I am sure it is the same with other language versions. Note that it is not possible to copy the downloaded soundtrack. The idea itself is very good and the realization is also very good but there are some small problems. The user must have a quality headset to have a good noise reduction experience and it seems unlikely that cinemas or SoundFi will offer one to each user, but they intend to try and counter the hygienic problems with a one-time use of the earpieces. The second potential concern is the target market for this type of product is very niche. Who would go to the cinema to listen to a film in a language other than expats? Of course, there will always be a few, but will that be enough to guarantee success? This is really a unique idea but, who is going to translate and upload the multilingual language. Moreover, You won't get the Dolby Atmos sound effects.